This bottle opener made from a REAL hockey puck is puckin’ awesome! We’ll personalize it for no extra cost. We offer five designs to choose from. Select from the drop down below to view each design. 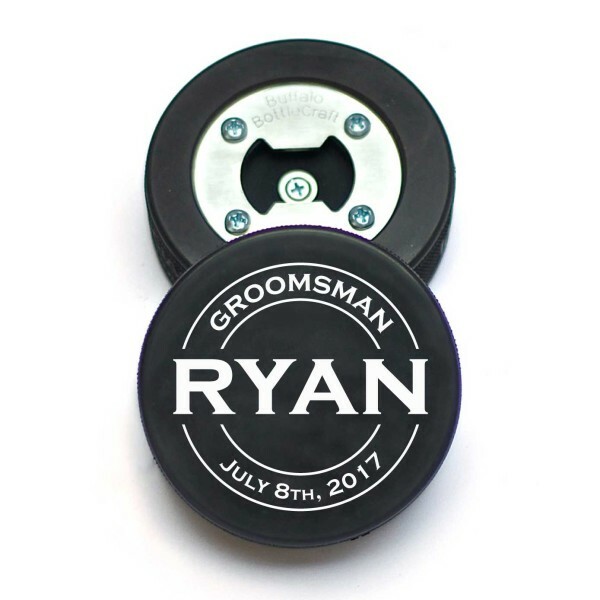 Shopping for hockey-loving dads, buddies or groomsmen? 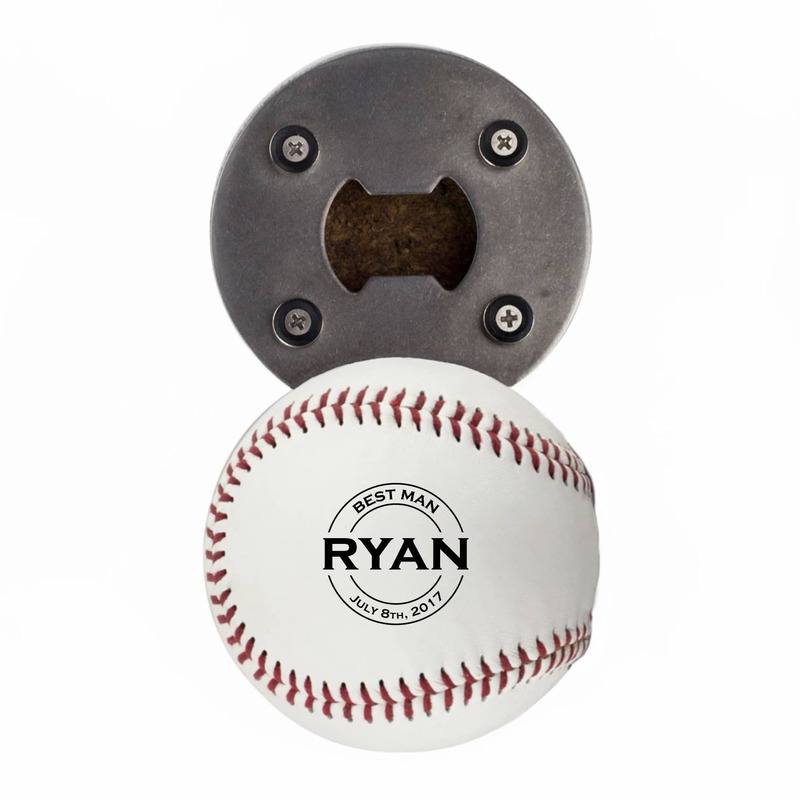 Our Personalized Hockey Puck Bottle Opener aka “The PuckOpener” is pure awesomeness. Crafted from an actual hockey puck, this biscuit is so legit that you can even still use it on the ice! 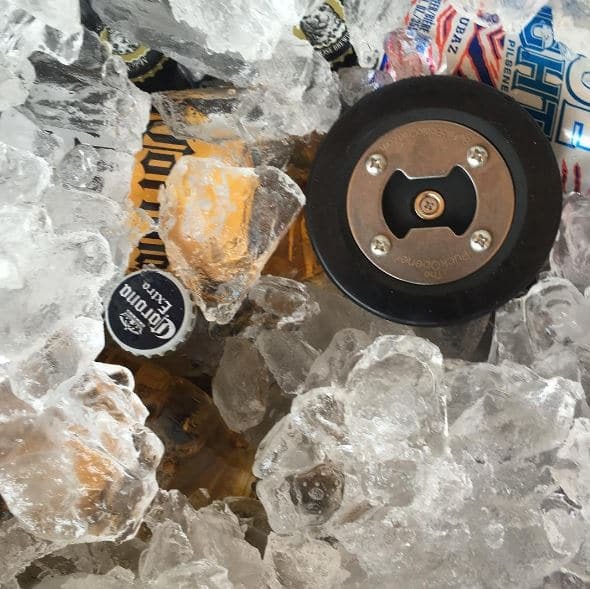 The bottom of the puck is carved out for the heavy duty, 1/16″ thick stainless steel bottle opener. 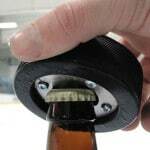 There’s even a magnet installed in the middle of the puck so your bottle caps stick and don’t go flying across the room. Not fully impressed yet? 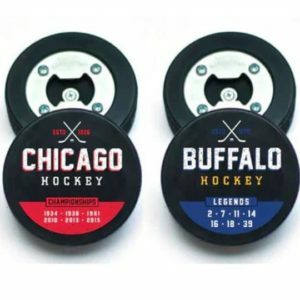 We’ll even personalize the top of the puck for no additional cost. 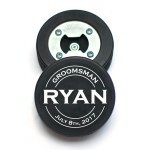 Make an amazing groomsmen, Father's Day or gift for a hockey coach. Made from an authentic, game-ready hockey puck. Magnetic bottle opener that catches bottle caps. The pucks came out perfect! Clean and sleek. 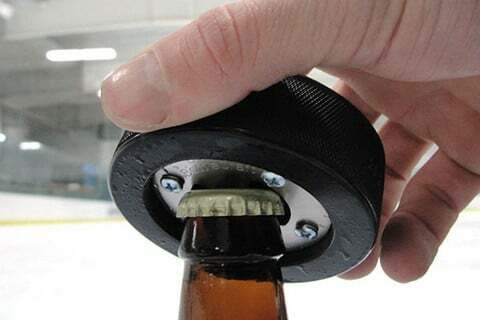 As a hockey player and fan, it is cool and different type of bottle opener to get for the guys. I highly recommend it! Personally, I think the crossed hockey sticks are the best. Great gift!